About a dozen protesters showed up yesterday afternoon outside the Earle Cabell Federal Building in Dallas. There were some still there at the end of the day. 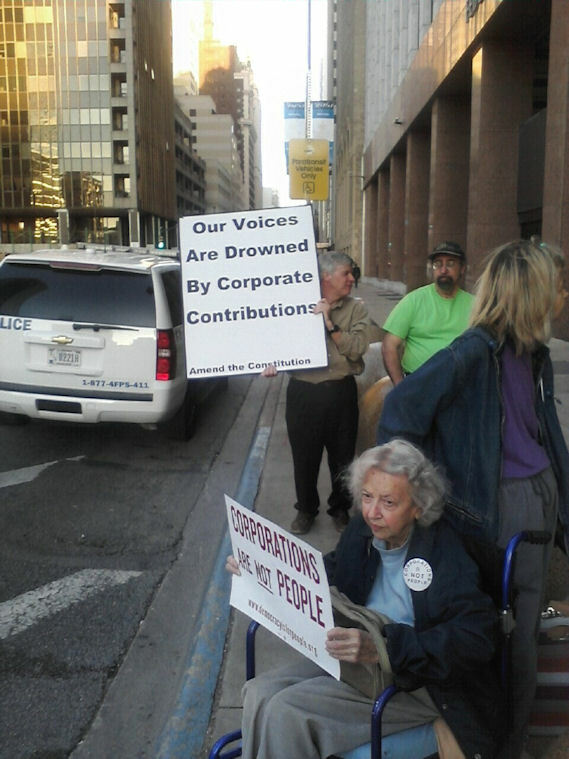 I think they were protesting the Citizens United ruling by the Supreme Court. I dont know if they were part of any Occupy Dallas group. One week of jury duty down. I don't mind serving, I want to do my part. But, I don't like the drive.